A year like 2012 doesn't come around too often. On a microcosmic level, we celebrated CL's 25th birthday this year. Woo-hoo! We had fun. On a regional level, we got the Democratic National Convention. A big woo-hoo!! We had big fun. On a macro level, all of us humans on Planet Earth had better get our kicks now, as the late sage Jim Morrison might have put it, "before the whole shithouse goes up in flames." A ginormous woo-hoo!!! Yes, folks, if those Mayan calendars are right, come Dec. 21, we'll never see a year like 2012 again. C'est la vie. Adios. Namaste. But before that day comes, we at Creative Loafing would like for you to take one final look at the best Charlotte has to offer, circa now. So, countdown to Armageddon. Apocalypse, please. Let's do the "Zombie Stomp," 'cause mama, we're coming home! It's hard to imagine just what the Queen City will look like when all those walking dead are staggering about downtown, lining up at bus stops to hitch a ride with the Four Horsemen to that burning Lake of Fire, but right now, there's more good cheer to be had in this city than ever before. Never have we felt so much energy, passion, intelligence and excitement in Charlotte than than we do today, and you'll find many of the highlights of what the city has to offer in the next several pages: restaurants galore, both old and new; a wide range of nightclubs where you can go dancing or go see and hear great music, from the obscure to the mainstream; a vibrant downtown area rife with museums, theaters, concert venues and sports entertainment; quirky arts neighborhoods that continue expanding; a light-rail line bringing train cars full of culturally diverse faces downtown to socialize and mingle; a panoply of media outlets, from the staid mainstream daily to an amazing little 'zine serving indie-music fans and more blog sites than ever. Charlotte has arrived, although we'll stop short of calling it a "world-class city." That just sounds so ... silly. Does the Queen City have its warts? Oh, sure, and we're not afraid to point them out. We still have politicians who live in the dark ages, religious extremists trying to tell all of us who don't think like them how to live our lives, and some clueless folks who'd rather spend our tax money on a neat little trolley than on feeding and housing the homeless. But we have even more citizens - tireless anonymous do-gooders working for homeless facilities, arts organizations and other charities - trying to make life a little better for everybody. 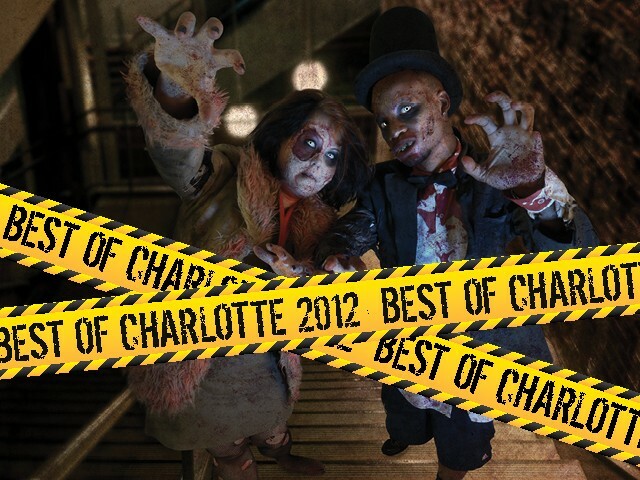 Charlotte has come a long way in the 25 years since Creative Loafing put down stakes in this button-up bank town, and this issue is about celebrating the city's best. If it's the end of the world as we know it, we feel just fiiiiiine. We'd like to thank all who helped us decide what was best in Charlotte this year, and that includes our regular writers and critics, the folks who tabulated the votes, our sales people, designers, photographers, editors, bean counters, printers and distributors. But most of all, thanks to all of you who read Creative Loafing. Without you, as the old saying goes, we'd be nothing. Critics' Panel / Copywriters: Matt Brunson, Tricia Childress, Mike Cooper, Mary Curtis, John Grooms, Jeff Hahne, Vani Hari, Megan Henshall, Desiree Kane, Mark Kemp, Kimberly Lawson, Mike McCray, Ana McKenzie, Pat Moran, Graham Morrison, Anita Overcash, Melissa Oyler, Ryan Pitkin, Perry Tannenbaum, John Schacht, Barbara Schreiber, Samir Shukla, Joanne Spataro, Emiene Wright. Photography: Grant Baldwin, Sean Beck, Natrice Bullard, Logan Cyrus, Justin Driscoll, Meredith Jones, Joe Martin, Jim McGuire, Jeaumane McIntosh. Section Lead Art: Photography by Jim McGuire. Digital art by Elizabeth Poulin. Models: Kennieth T. Holmes, Kimberly Lawson. Makeup: Tatiana Kazana of Philo Fashion.